In the earlier days of Windows, you had to use the less-than-intuitive method of pressing the Print Screen key and pasting into a graphics program if you wanted to add markup and save a screenshot. Then Microsoft included a utility called the ​snipping tool in Windows Vista and later Windows versions to make capturing screenshots much easier. Of course, there are many free screen capture tools for all versions of Windows if your needs are more complex than taking a simple shot of your screen now and then. But if you don't want to or have to go to that trouble, here's how to capture a screenshot with the snipping tool. Click on the Start Menu and type "snipping" into the search box. 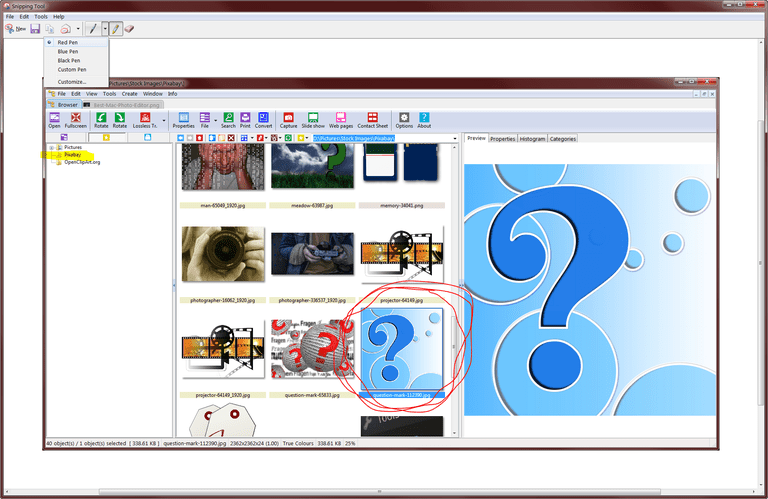 The snipping tool should show up in the Programs list above the search box. Click on it to start it. Now the snipping tool window will appear on your screen. You can move it to an edge of the screen so it's not in your way, but it will also disappear when you start dragging a selection area. The snipping tool assumes you want to create a new clipping as soon as you open it. Your screen will dim and you can click and drag your cursor to select an area to copy. The selected area will be darker as you drag and a red border will surround it if you've never changed the snipping tool options. When you release the mouse button, the captured area will open in the snipping tool window when you release the mouse button. Click the New button if you're not happy with the selection and want to try again. Press the second button to save the screenshot as an image file when you're happy with your clipping. If your screenshot contains a limited number of colors and you want to retain crisp lines and keep the file size small, save it as a GIF file. If your screenshot contains many colors and you want to retain crisp lines and full quality, save it as a PNG file. If your screenshot contains many colors and you want to make the file size small, save as a JPEG file. You can use the pen and highlighter tools in the snipping tool toolbar to add markup to your screenshot before saving it. The eraser tool removes marks made with the pen and highlighter tools. You can email a screenshot without saving it first by using the "Send To" button on the snipping tool toolbar. 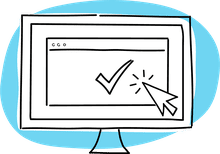 Go to Tools > Options to change the way the snipping tool operates. You can change the color of the selection outline by selecting a new ink color, or turn the outline off entirely by unchecking the box for "Show selection ink after snips are captured."